did you pray to anyone? 1. Circus Girl – This was the obvious choice for the title song, as it’s grown more autobiographical and closer to my heart as the years have gone by. I loved this character when I wrote her; eventually I became her. 2. The Aviator’s Song – When I wrote this song about my father it was so specifically about him I wasn’t sure if people would be able to relate. How wrong I was. It quickly became one of our most requested live songs, and on the best nights a moment of suspended disbelief, a high-wire act. I was determined to capture the whole person – the heroism, the fallibility – the humanity. 3. Sunday Morning (Up And Down My Street) – I think of this song as a beam of sunlight with just a tinge of darkness (“when we won’t be sad no more”…) – it’s a portrait of happiness and contentment with my little corner of the world. 4. The Secret Of Life – When I wrote this song in the mid-90s I really felt I had come up with something different. Musically it was not your standard 1/4/5 fare (although it reverts back to a pretty common progression in the chorus), and certainly it was not your typical country music lyric, either. After it was released as the title song of my first album, Faith Hill came along and recorded the hit version. I was surprised, to say the least. 5. If Heaven – I had the verses for this song forever, but no chorus. I kept trying to make something big out of it. The song was having none of it. Finally I accepted it for what it is – a folk song – and wrote a simple chorus that Woody Guthrie might have written. 6. On A Bus To St. Cloud – I could never have predicted the trajectory this song would take. Trisha Yearwood’s beautiful version was an unsuccessful country single, Jimmy LaFave’s transcendent version became one of his most requested songs, and my own version became my most-played song on BBC’s Radio 2 thanks to people like Terry Wogan and Bob Harris. It was never really a hit, but is the most requested song we do live, by a long shot. 7. In A Perfect World – I wrote this with Bryan Adams, while we were writing songs for an album of his. Somehow he kept throwing this one back to me, and eventually ended up singing on my version as well. It was really fun to produce; we used everything from mandolin to sitar on it. 9. Picasso And Me -A portrait of Picasso as seen by his cat. At the time I wrote this I was feeling so constrained by all the “rules” of mainstream commercial music. I wanted to scream sometimes, and I certainly wanted to break them all. I channeled all of this into the Picasso character, and the cat, of course, is the omniscient Greek chorus. 10. When You Are Old – An old song from my first album, and also my first radio single. It did much better in the UK than it did in my own country – and the Irish took to it as their own, which is right and proper since the title was lifted from a Yeats poem. It’s been played at both weddings and funerals and I take that as a very big compliment. 11. Independence Day – I don’t know what more can be said about this song. It’s been understood, misunderstood, interpreted, misinterpreted and controversial from day one. I couldn’t have predicted any of that. In the beginning I was just telling a story about one woman, one man and one child. I went through a phase of not wanting to perform it any more, because I felt that no one could hear it as anything but a “hit”. Now I sing it as a story again. 12. Tomorrow Morning – Off of the album Halcyon. I always loved singing this song, but it fell off the set list for awhile. I revived it on the last Wine, Women & Song tour, and found it to be as sturdy as ever. I am someone who romances melancholy but marries optimism – and this song probably describes that as well as any. 13. The Way You Move Me – How difficult it is to write an open, unrepentant love song. This is my favorite of the few that I’ve written. It helps immensely to be openly, unrepentantly in love. 14. Don’t You Know (bonus track) – A nod to Tin Pan Alley, torch songs and a whole songwriting era that has come and gone but probably influenced me more than I realize. Growing up I heard Ella Fitzgerald singing the Cole Porter songbook, Django Rheinhardt playing gypsy jazz and Gene Krupa pounding the jungle drums, and it got under my skin. 15. Nobody’s Girl (bonus track) – Originally written for a friend’s independent film, this song eventually became a hit for Michelle Wright. I always loved the demo, which you hear here, but never found the right album for it. 1. First radio interview, KBCO Boulder (1977) – I was 19 years old and had never been on the radio before. I had been writing songs for about a year, and submitted a homemade cassette to the local radio station, where it caught the ear of local music critic Kenny Weissberg, who is doing the interview. Kenny became a mentor and a good friend. I sound so young and unformed here, but I obviously knew what I wanted to do. 2. Black Eyed Susan home cassette (1978) – A homemade tape of a song from the same era, recorded in a friend’s basement in Boulder. I had originally written the song for a man to sing but later turned the lyrics around to suit myself. I was partial to sad songs from the very beginning. 3. Out To Sea – demo (1989) – This song was written for a friend back in Colorado who died suddenly right after I had moved to Nashville. After I wrote it I knew I had really written something for myself, as opposed to something that would be “radio friendly”. Although the song was never covered, it was a personal milestone for me. It was recorded down in the basement of a little house on Music Row, the home of my first publishing company. 4. Ships – demo (1992) – When I wrote this song I had never been to Las Vegas but used it as the backdrop for this story song about two middle aged lovers. I’ve always been drawn to underdogs, and Eddie and Lily were two people you would never notice in a crowded room. But they noticed each other and found a second chance at love. Patty Loveless recorded this song a few years after the demo was recorded. 5. Circus Girl – work tape (1993) – Before I go into the studio to record a demo I usually record some sort of work tape just to get the basic song down. Once I’m in the studio I’ll play the work tape for the musicians and they will take what I’ve done and work their own magic into it. I knew this song would be important to me from the very beginning. It felt like my manifesto. I wrote a lot of songs about women who don’t follow a traditional path, but this one is closest to my heart. 6. You Don’t Even Know Who I Am – demo (1993) – This is the original demo for this song, the same version Patty Loveless heard when she decided to record it. I can’t say I knew it was a hit when I wrote it, but the chorus did give me goose bumps. I wrote the entire song in an afternoon, something that hasn’t happened before or since. It just poured out. Patty has said that the thing that made her record it was the second verse – where the point of view switches and the husband has his say. I was proud of the fact that I managed to tell both sides of the story. 7. Let That Pony Run – acoustic “cassingle” version (1996) – This song had already been a hit by Pam Tillis when I recorded this version. My record company was putting out a cassette single (remember those? ), and wanted a bonus track to put on it. We came up with the idea of recording this song with just piano and guitar. That’s Barry Walsh and me joking around in the studio before the song starts. 8. If I Could Just Get Over You – live from the Bluebird (1996) – The Bluebird Cafe is a mecca for songwriters from all over the world. The first time I played there was 1986, before I had even moved to Nashville permanently. I was terrified. Now it feels like my own living room. I have heard some of the best songwriters in the world there, and tried out some of my fledgling songs there, like this one. 9. Die Young – live from Green’s Grocery (1996) – Another story song which almost made it on to an album but never quite did. Jesse was a pure figment of my imagination, although he was probably made up from bits and pieces of people I knew. This was recorded at a great venue out in the countryside south of Nashville. I had been traveling hard for six months, promoting my first record, and I wanted to sing some new songs after singing the ones on my record endlessly. 10. Closing Time – live from King Tut’s (1997) – Recorded live at King Tut’s Wah Wah Hut in Glasgow, Scotland, this song was my second encore of the night before a roomful of extremely enthusiastic Scots. It was my second visit to the UK, and my first real tour there. I was absolutely stunned by their reaction, and immediately made plans to return. I will always have deep gratitude to the audiences in the UK who embraced me with open arms back at the start of my recording career, and who have been with me ever since. 11. Beloved Enemy – live from Caffe Milano (1998) – This was written with my dear friend Conni Ellisor, a brilliant composer and violinist. We were given the task of writing a classical piece for voice and orchestra to be part of a song cycle on the general theme of family. We hit on the idea of two sisters who watch their parents marriage unraveling before their eyes. The idea of writing something in the classical realm scared me to death, but I had Conni, who was endlessly encouraging and helped to demystify the process for me. Then they asked me to sing it! 12. Tattoo – demo (2001) – A demo of another song that never quite made it on to an album. Sometimes in the process of making an album you have to cross certain songs off the list because they just don’t feel right with the other songs. It’s much the same with songwriting, where you sometimes have to do away with lines that you love but which don’t contribute to the whole. 13. Breakfast At Our House – work tape (2005) – This “first draft” version opens with different lyrics. I could never get those first few lines to “sing right”, and ultimately felt I strengthened the song by using the line “this is how it is” to open both verses instead of just the second verse. I recorded this in Florida where I was holed up writing songs for Burnt Toast & Offerings. When I wrote that phrase I knew I had my album title. 14. Jezebel – work tape (2006) – Another work tape with first draft lyrics. I didn’t have the last verse completely finished, but I knew I had a song. I was sure I’d be able to finish that verse before the album was scheduled to be recorded, so I recorded this version with lyrics that I knew wouldn’t make the final cut. Recorded in Florida during a writing session for Burnt Toast & Offerings. 15. Jesus On My Dashboard – work tape (2007) – Oftentimes when writing for an album there are byproducts – songs that present themselves, needing to be written then and there. Over the years I’ve found that the best thing for me to do is write them, even when I know they won’t be part of the album. Sometimes they become part of something else, and at the very least they make room for the next song. Most of this was written while I was driving through Alabama. It came to me so quickly I pulled the car over several times to write lyrics down. I always heard a male singer doing it, and thus it was heavily influenced by my favorite country singers like Mickey Newbury, Vern Gosdin and Merle Haggard. 16. Mother (for Mother Jones) – master (2008) – A song written for a tribute album, as yet unreleased, to Mother Jones, activist, community organizer, rabble-rouser and godmother to untold millions of miners and other workers in the late 19th/early 20th century. Mother, as she was known to all, devoted her life to “her boys”. Her own story was tragic – she lost all four of her children and her husband to yellow fever, and shortly afterwards her house burned to the ground. When you have nothing, you have everything. She went on to change the face of the labor movement in the US. She is buried in Mt. Olive, Illinois, so if you’re ever in the neighborhood, stop by and leave a flower on her grave. 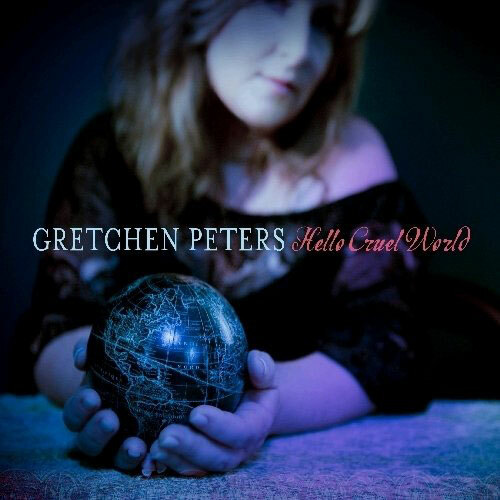 At times it seems impossible that it was only thirteen years ago that Gretchen Peters released her debut album, and at other times I feel like I’ve been listening to her music for much, much longer. In reality. I have, as her songs recorded by the likes of George Strait. Martina McBride, Pam Tillis, Suzy Bogguss, Trisha Yearwood and Patty Loveless pre-date her recording debut by several years. This collection is aptly titled; as she’s not had any ‘hits’ in terms of chart success, it is a self-compiled compilation of her best-known recordings from somewhat limited radio plays, but more importantly from live concerts. Unlike most Nashville-based songwriters who’ve made their money writing hits for the well-known stars, Gretchen has gone out there on the road to play her songs to an ever-increasing fan base. Borrowing from such musical trailblazers as Carole King, Joni Mitchell and Sheryl Crow, Gretchen combines catchy songcraft and sonic adventurism with an endearing effortlessness. With a voice like polished copper in the firelight, Gretchen adds that special songwriter touch that burns like an arrow straight to my heart and soul. Thirteen of these tracks are gathered from Gretchen’s past albums, with two bonus tracks – Don’t You Know and Nobody’s Girl – previously unreleased. Five of the songs come from The Secret Of Life, her 1996 album debut. It’s impossible for me to pick the best of them, because each one of them is an integral part of Gretchen’s musical career. Let’s just say that songs like On A Bus To St Cloud, The Secret of Life and Independence Day should be up there with the likes of Yesterday, You’ve Got A Friend and If You Could Read My Mind as genuine timeless pop classics. Other incredible songs include the heart-stirring Picasso And Me, which tells about the relationship between the famed painter and his cat, Sunday Morning, a gorgeous ballad that encapsulates everyday life so perfectly and In A Perfect World is a rhythmic gem about wanting more from life, but in the end settling for exactly what you have. 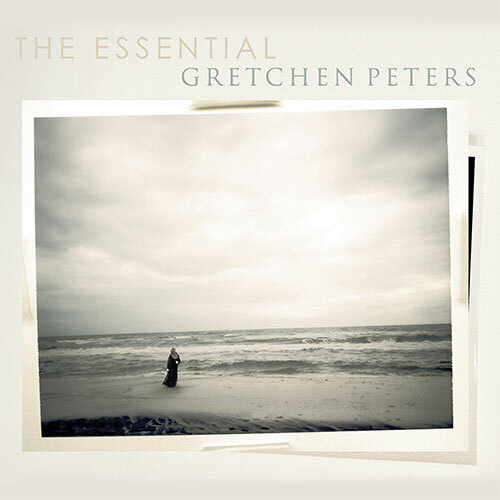 Gretchen Peters is a singer-songwriter who gets to the very heart of life and relationships. Embrace, enjoy and eulogise. Gretchen Peters is one class act. As a songwriter she’s up there with the female greats like Carole King and Dolly Parton, sharing that ability to take personal experiences and feelings and make them universal. Even if you’re not familiar with Gretchen Peters the artist, you’ll know her music if you’ve listened to any country music radio station over the last 15 years playing George Strait, Faith Hill or Shania Twain. Circus Girl is the perfect introduction to her extensive catalogue of hits. It’s a mix of heartfelt anthems like Independence Day, the Martina McBride CMA Song of the Year 1994, the mysterious On A Bus To St. Cloud (a massive hit for Trisha Yearwood) and the infectious In A Perfect World which features the voice of her sometime writing partner, Canadian rocker Bryan Adams. 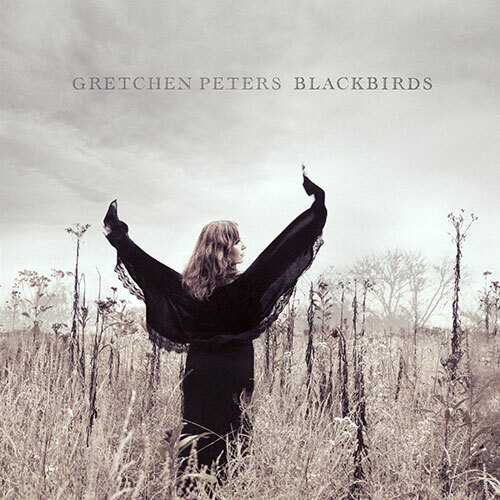 Collected from her four studio albums The Secret Of Life, Gretchen Peters, Halcyon and Burnt Toast & Offerings, with two new numbers, there’s not a bad track on this album. The songs reflect Peters’ life through child-rearing, divorce, falling in love and losing a parent, but they also relate to anyone who’s had their heart broken, and subsequently, mended. As a performer her charm is the rawness of her delivery. The simple acoustic guitar and piano accompaniment on the majority of tracks allows her crystal-clear voice to shine. Like Emmylou without the vibrato or Maria McKee without the whisky hoarseness, her voice gives the songs a vulnerability and authenticity. She’s at her purest when singing from the heart, as on the I Will Survive-type anthem Tomorrow Morning, the feel good Sunday Morning or When You Are Old, a poignant celebration of ageing love which ranks up there with John Prine’s Hello In There. Her biggest hit, Independence Day, is hardly recognisable from Martina McBride’s power ballad in its rawness. Over 15 years old, the power of its anti-domestic violence message is as strong as ever. When Republican Sarah Palin used it in her election campaign, Peters donated the royalties to the Planned Parenthood pro-choice campaign in Palin’s name. Martina may have made it famous, Gretchen does it justice. Of the two new tracks Don’t You Know is a slice of late-night lounge jazz while Nobody’s Girl would sit comfortably on any McBride album. Peters says great songs are born out of pain, anger, joy and wit. This is the work of a woman who knows how to laugh and cry and can move listeners in the same way.